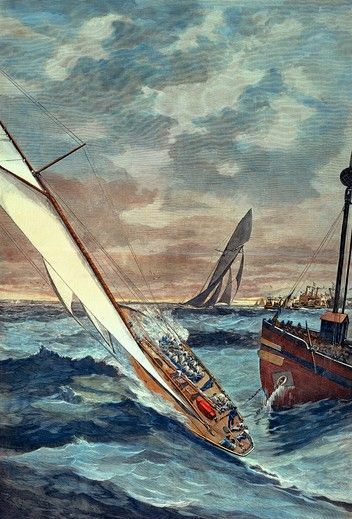 British challenger 'Genesta' rounding the Sandy Hook Light Vessel in the first race of the fifth Challenge for the America's Cup, on September 14, 1885. 'Puritan', the leading defender, has already rounded the mark. She won the 32.6 mile long race by 16 mn.